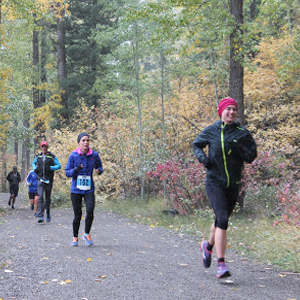 The Fernie Half Marathon is a 21 km run through the extensive trail system in Fernie, BC. The trails follow along the Elk River, across the foot of Mount Fernie, along wooded areas in Coal Creek and through Fernie’s beautiful James White Park. 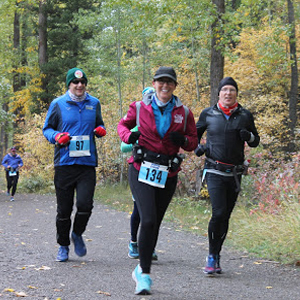 The 3 person relay is a 21 km run through the extensive trail system in Fernie, BC. The trail follows along the Elk River, across the foot of Mount Fernie, along wooded areas in Coal Creek and through Fernie’s beautiful James White Park. We will once again be offering the popular Fernie 10K Run/Walk. 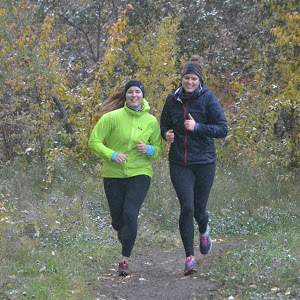 The 10km will be using the same trails as the Half Marathon, starting and finishing at the Fernie Annex Park. The 10km allows both running and walking participants!